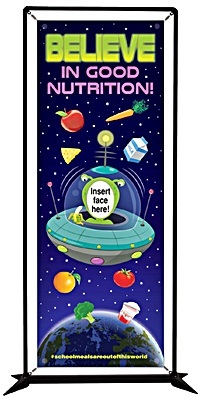 Entertain and educate students with this lightweight photo op banner display. Perfect for positive social media messaging! Easy to assemble frame measures 41" x 81.75". Single-Sided.